Have you seen the Bar Mitzvah video? I confess I have not and I have no intention of watching it. (Note I am not even including a link). Odds are you might have. The video went viral and I’m sure with just a little google search you can see it. What is of interest to me is the two responses to this video. Rabbi David Wolpe wrote a response to this video in The Washington Post. You can read it here. I have never met Rabbi Wolpe though we live in the same city. I think he raises some important issues about the state of Bar/Bat Mitzvah in our world. I find that he isn’t really saying things that others haven’t said before him. Because he is who he is, he just gets a whole lot more press. Rabbi Bill Gershon is this young person’s rabbi. Here is Rabbi Gershon’s response to Rabbi Wolpe. I hope this email finds you well. I felt I had to respond regarding your article that appeared in the Washington Post, “Have we forgotten what Bar Mitzvahs are all about?” You wrote: “…however beautiful his religious ceremony may have been, and however sincere the Judaism of his family (I don’t know and cannot judge)…” Well, that is true. You don’t know and you cannot judge. But I do know and I can judge. I am Sam’s rabbi and have known him his entire life. And by the way, his name is Sam and not, as you mockingly call him, “Sammy.” Sam’s Bar Mitzvah was beautiful and meaningful, and Sam is not just some kid who had a blowout Bar Mitzvah party. He goes to our Hebrew School, has sung in the youth choir for years on Shabbat and the High Holidays, took his study of the Torah portion very seriously, loves being Jewish and loves Israel and the Jewish people. Sam requested that his guests not give him gifts, (the opposite of what most b’nai mitzvah do) but rather that they contribute money to the Ben Yakir Youth Village in Israel. To celebrate becoming Bar Mitzvah, Sam went to Israel with his family. Unlike many kids his age, (at the time he was not even 13), Sam was focused on helping under-privileged Israeli kids rather than doing the “touristy” activities that most B’nai Mitzvah trips stress. He took this mitzvah very seriously and raised $36,000. You don’t know Sam, David, but I do and the Sam I know is a sweet kid with a sensitive neshama (soul). The Sam I know loves to lead services from the bimah and sing the songs of his people. The Sam I know may come from a family of great financial means, but whose largesse to the Jewish Community and to Israel is an inspiration to all of us who have the privilege of knowing them. And I can attest that not only has his family passed on the value of giving and Tzedakah to Sam, but they possess a deep sense of Jewish belonging and commitment which permeates their family and is very much in Sam’s heart and life. The three minute dance he performed at his party, however questionable, hardly portrays a complete picture of who Sam is or his core values. I have no problem with a rabbi railing against materialism, misplaced values, or exhorting the community to understand the sacred nature of Bar Mitzvah and its meaning. I have written and spoken about such issues for years in my own community. My issue with what you wrote, David, has to do with the vituperative tone of your words— the way they mock and humiliate one of the children of my synagogue in the public forum. Sam is not an object. He is a Tzelem Elohim, an image of God, who happens to have a passion for acting, dancing and singing. I would have welcomed your criticism of the media’s misappropriation of “Bar Mitzvah” and the sensationalism that has followed. But your words play right into that sensationalism and buttress the real travesty of this matter – the egregious and hateful words many have directed at a child of God, which have now gone viral on the Internet and blogosphere. This is the month of Elul, a month of self-reflection and repentance. Humiliating anyone in public, let alone a teenager, flies in the face of the values that we would both agree are at the very heart of what it means to become Bar Mitzvah and to be Jew. No, David, you don’t know Sam Horowitz. And while I respect and love you, in this case I think you owe Sam an apology. Best Wishes for a Shana Tovah. As far as I can tell, Rabbi Gershon’s response has not been ‘picked up’ by any media. This was simply posted on Facebook on the congregation’s page. Rabbi Gershon aptly reminds all of us that it is always best to criticize an idea and not criticize a person. Forgiveness is hard work. Asking for forgiveness is doubly hard. 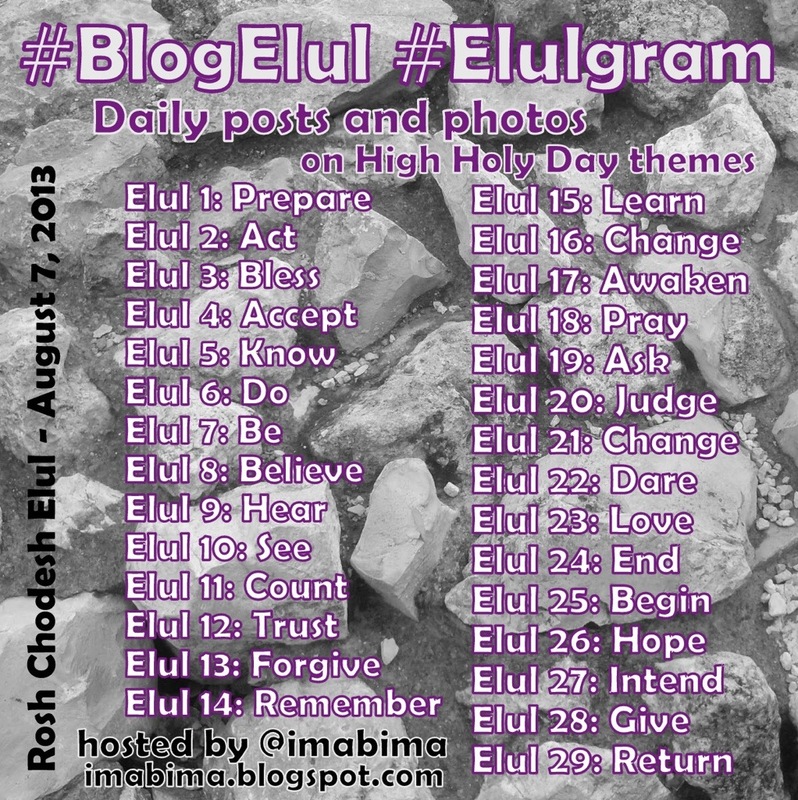 This is what Elul is all about. I will update this blog post if I learn of any response from Rabbi Wolpe. UPDATE Rabbi Wolpe responds, here.